We quickly discovered that a well-intentioned friend had unfortunately misfuelled it in Wales by putting a whole tankful of Petrol into this Diesel car, as many people do every day. Off came the tank access port ring (see picture) and the contents were quietly syphoned out. As the breakdown had occurred very quickly after misfuelling (due to the sheer percentage of Petrol present) the collateral damage to pump and injectors was felt to be negligible and the customer was happy to take a chance by not replacing these at this stage (replacement is always recommended). The really interesting part was when we came to replace the access port ring – it just would not screw back on! 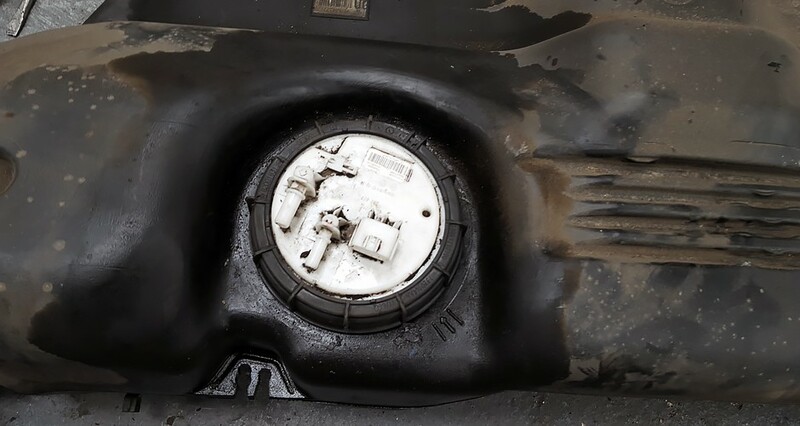 A swift check with Renault UK and the trade rumours were proved correct – have the ring off a used Megane tank for more than circa 30 minutes and the complex shape plastic tank distorts (grows) so the job becomes impossible – it’s a whole new under floor tank at £456! The poor owner understandably cried ‘HOW MUCH ? !’ Fortunately we’ve been around motorcars for a long, long time so using a tool called experience plus differential temperature expansion we fought the French again and after a pitched battle successfully refitted the tank unit, port ring etc. Long story short, the car is now back in service, driving as it should, repaired for substantially less than probably anywhere else would have charged. At the end of the day a potential four figure bill was better than halved and British ingenuity overcame cheap French design/materials – a great result in a ludicrous situation so nonsensical that we wouldn’t have believed it if we hadn’t lived through it ourselves. So, French engineering – brilliant or bad? You can decide; just know we’re happy to fix any car wherever it hails from.